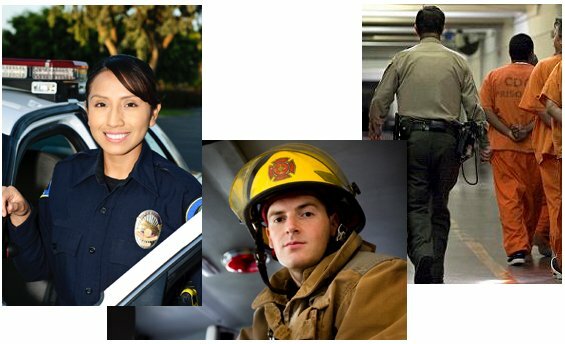 Recent developments from around the country in the area of public safety labor relations. Basic principles regarding the law and public safety unions, including the source of union rights and responsibilities. Janus as an ongoing political effort. What is flexible under Janus, perhaps even without statutory changes? Control of precedent if non-members have access to the grievance procedure. Post-Janus union messaging to members. Will Aitchison, Joseph Gamaldi and Marty Lancton. Press releases and newspaper editorials. Media Interviews – What to say and what to avoid. How to use press conferences to get your message out. Controlling the narrative of a story through the use of social and traditional media. Basic tips on public speaking. Composing effective written documents: Letters, memos, emails. Running an effective union meeting. How often, how long, and what should be on the agenda. The types of union elections, and how to avoid problems. The special consideration needed for contract ratification votes. On-line balloting – does it work? The different forms of membership in a union – including full members, fair share members, and associate members – and what the union’s obligations are to each. The duties of union officers. When and how committees should be formed, and who should be appointed to the committees. Anil Karia, Will Milam and Ryan Reese. 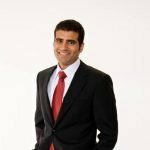 Sound financial protocols – what procedures does a union need to have in place in order to safeguard the union’s funds? The options for dues structures, including membership assessments and initiation fees. Should a public safety union have outside fundraisers? If so, how to research and monitor the activities of a fundraiser. Basic financial reporting to the membership – how to construct budgets and financial statements. The use of social media in political efforts. Mobilizing the membership on political issues. The basic rules to follow to be an effective witness. Rob Wexler, Barry Donelan and Sean Burrows. To make arrangements, visit https://aws.passkey.com/go/SFPUB9 or call the hotel directly and request the group rate for this seminar. (There is a $15 fee for telephone reservations). For the Flamingo, use Group Code SFPUB9. Room rates Tuesday through Thursday nights are $63 per night, plus a $30 per room, per night resort fee and 13.38% tax. Rates Friday and Saturday nights are $139 plus resort fee and tax. For the Linq, use Group Code SQPUB9. Room rates Tuesday through Thursday nights are $49 per night, plus a $30 per room, per night resort fee and 13.38% tax. Rates Friday and Saturday nights are $125 plus resort fee and tax. A limited number of rooms are available at these rates on Friday and Saturday nights, so book early if you plan to stay over. Reservations must be made by January 14, 2019. Reservations received after this date will be on a space-available basis only and at the prevailing rate. Because of the heavy tourist activity in Las Vegas any time of the year, be sure to make your reservations before January 14. Mr. Burrows has been the President of the Alameda County Firefighters, IAFF Local 55 since April 2014. He has over 15 years of union leadership experience including being part of the negotiation team and dealing with member investigations and discipline. He serves on the California Professional Firefighters EMS Committee and has a leadership role in the Political Action Committee of Local 55. 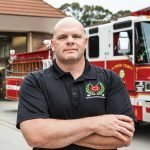 Mr. Burrows currently serves as a Captain with the Alameda County Fire Department and has over 22 years of professional fire service experience. Mr. Donelan is currently President of the Oakland Police Officers’ Association. 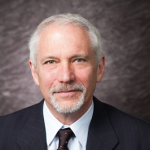 He has served on his association’s board and bargaining team since 2006. He represents police associations throughout Northern California on the Peace Officer Research Association of California (PORAC) Board and Executive Committee. In addition, he serves as one of five PORAC Legal Defense Fund Trustees. He has represented Oakland Police Officers in disciplinary proceedings for over a decade. Mr. Donelan has been with the Oakland Police Department for 20 years. Mr. Gamaldi has been a police officer with the Houston Police Department since 2008. He was named Field Training Officer of the Year in 2011. 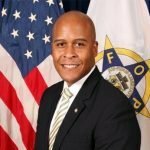 He served as 2nd Vice president of the Houston Police Officers’ Union for 5 years before being elected President of the HPOU in 2017. Officer Gamaldi is the chair of the Education and the Ways and Means committees, and serves on the bargaining team for contract negotiations. 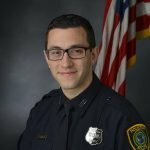 He also coordinates the Safe Ride Home program, founded the Houston Officers Peer Assistance (HOPA), and runs all the social media platforms for the HPOU. He holds a Bachelor’s Degree in Criminal Justice from the University of Hartford and a Master’s Degree in Homeland Security Management from Long Island University. 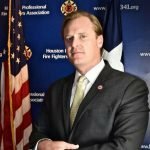 Mr. Lancton is President of the Houston Professional Fire Fighters Association, IAFF-Local 341. Local 341 has a membership of over 4,000 and is the third largest municipal firefighter union in the nation. 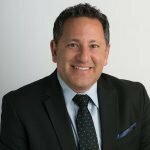 He has held numerous positions within the Union, including President of the HPFFA Charitable Foundation, Communications Director, Bylaw Chairman, Public Relations Chairman, Legislative Committee Member and Grievance Committee Member. 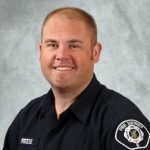 Ryan D. Reese is a Captain/Paramedic with Clark County Fire District Six, located in Vancouver, WA. He has been a member of the IAFF Local 1805 for 22 years, serving as President for 16 of those years. Mr. Reese also holds the position of Washington State Representative for the IAFF, where he organizes new locals, negotiates initial contracts and provides assistance during the arbitration process. 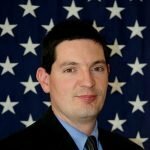 In June of 2018, he was elected to the position of Washington State Council of Firefighters, 5th District Representative where he represents 1000 members and 28 locals. Each attendee will receive a copy of Running A Public Safety Union, by Rob Heun, and a notebook containing extensive written materials pertaining to each of the subjects addressed.